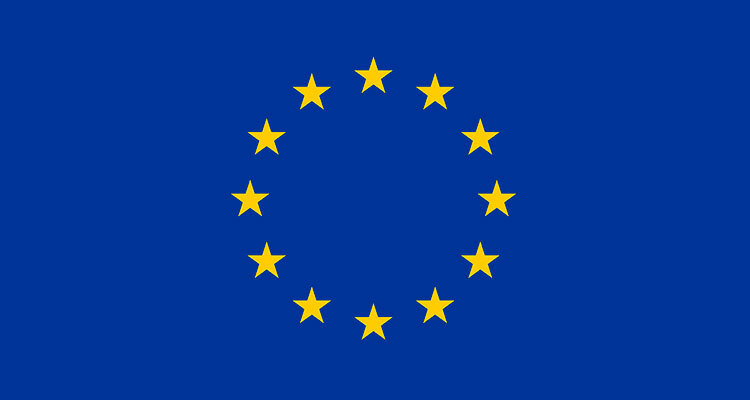 The European Commission adopted today its annual Enlargement Package. It assesses where the countries of the Western Balkans and Turkey stand in implementing key political and economic reforms, and what needs to be done to address the remaining challenges. Among other things, the Commission recommends that Member States consider opening accession negotiations with Albania. This is, however, strictly subject to credible and tangible progress in the implementation of the judicial reform, in particular the re-evaluation of judges and prosecutors (“vetting”). Presenting the Enlargement Package, Commissioner for European Neighbourhood Policy and Enlargement Negotiations, Johannes Hahn said: “The prospect of EU membership continues to drive transformation and anchor stability in the countries of Southeast Europe, and a credible enlargement process remains an irreplaceable tool to strengthen these countries and help them carry out political and economic reforms. Today we reiterate the EU’s continued support for these efforts and call on the governments of the enlargement countries to embrace the necessary reforms more actively and truly make this their political agenda – not because the EU is asking for it, but because it is in the best interest of their citizens, and Europe as a whole”. Enlargement policy continues to deliver results and reforms are moving forward in most countries, albeit at different speeds. A continued commitment to the principle of fundamentals first therefore remains essential: the Commission will continue to focus efforts on the rule of law, including security, fundamental rights, democratic institutions and public administration reform, as well as on economic development and competitiveness. A stronger role for civil society and stakeholders more broadly remains crucial. In the rule of law area, overall, there have been efforts to modernise legal frameworks and infrastructure. Albania unanimously adopted constitutional amendments which provide the basis for a deep and comprehensive judicial reform. However, most countries continue to face problems of efficiency and lack of sufficient independence and accountability of the judiciary. In recent years, all countries have strengthened their frameworks for tackling corruption and organised crime; efforts now need to focus more than ever on establishing a track record of investigations, prosecutions and court rulings in cases at all levels. Enlargement countries have also amended their criminal laws and anti-terrorism legislation, arming themselves with more robust tools to counter these phenomena. Several of them have adopted new anti-terrorism strategies and action plans, but more needs to be done to counter radicalisation, in particular in the area of education and through better control of foreign funding fostering radical content. Fundamental rights continue to be largely enshrined in the legislation of the enlargement countries. In the Western Balkans, shortcomings in practice remain, but the situation is broadly stable. In Turkey, there has been backsliding in this area and practical implementation often shows significant shortcomings. Following the attempted coup in July, a state of emergency was declared under which far-reaching measures curtailing fundamental rights were taken. Many serious violations of the prohibition of torture and ill-treatment and of procedural rights were alleged in the aftermath of the coup attempt. Freedom of expression and media remains a particular concern in most enlargement countries, albeit to different degrees. The lack of progress in this area, already observed over the past two years, has persisted and, in some cases, intensified. Discrimination and hostility towards vulnerable groups, including on grounds of sexual orientation or gender identity, remains a serious concern. The migration crisis has been one of the key issues on the political agenda in the past year. It continued to demonstrate the strategic relevance of enlargement policy in the region. The EU reacted in a comprehensive and rights-sensitive way. The effective closure of the Western Balkans route by the countries concerned in conjunction with the EU-Turkey Statement of 18 March delivered clear results on the ground, with the number of irregular migrants and asylum seekers reaching the Greek islands dropping significantly, from several thousand a day to less than 100 per day on average. This also led to a sharp drop in the number of lives lost at sea. The proper functioning of democratic institutions remains a key challenge in a number of countries. The central role of national parliaments for the democracy needs to be embedded in the political culture. In Turkey, the attempted coup in July was a shocking and brutal attack on the democratically elected institutions. Given the serious threat to Turkish democracy and the Turkish state, a swift and decisive reaction to that threat was legitimate. However, the scale and collective nature of measures taken in the aftermath of the coup attempt raise a number of questions. Progress on public administration reform has been uneven among the countries. Citizens’ rights to good administration, access to information and administrative justice have to be better ensured. The economic situation has gradually improved across the region, with stronger growth, higher investment and more jobs created by the private sector. However, all enlargement countries face major structural economic and social challenges, with low efficiency of public administrations and high unemployment rates. Youth unemployment in particular remains worryingly high. The investment climate is also negatively affected by the continuing weaknesses in the rule of law. The impetus given through the ‘Berlin process’ and the Western Balkans Six initiative, notably regarding the EU’s connectivity agenda, has continued to foster increased regional cooperation and good neighbourly relations, thus supporting political stabilisation and economic opportunities. The current enlargement agenda covers the countries of the Western Balkans and Turkey. Accession negotiations have been opened with candidate countries Turkey (2005), Montenegro (2012) and with Serbia (2014), but not yet with the former Yugoslav Republic of Macedonia (a candidate country since 2005) nor Albania (candidate status in 2014). Bosnia and Herzegovina, and Kosovo are potential candidates.